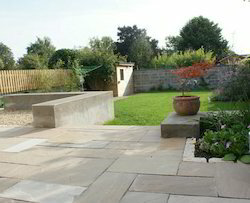 Grass Paving is very useful to grow grass in trafficked areas. It gives a strong surrounding to the grass to protect it from being damaged by vehicheles. Price may vary according to the location. 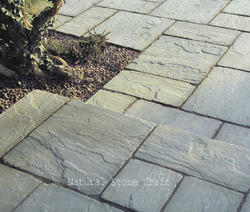 We are a customer-focused enterprise that aims at supplying a commendable range of Garden Grass Pavers. We manufacture these with the utilize of the superior quality of raw materials. Our products are available in various colors, design, shape and sizes. We required inquiries only from Punjab, Haryana, Himachal pradesh, Jammu & Kashmir & Chandigarh only. We have earned immense reputation since our establishment by providing the best quality of Garden Road Curbing to our customers. It is used for water parks. The product is designed and manufactured using superior quality raw material as per the set industry norms. We are the renowned manufacturer and supplier of the best quality array of Garden Paving which is the best choice for pavement purposes. Our firm is engaged in providing a world class range of Footpath Curbing. It is available with us in diverse structures that meet on patrons demand. Our presented products are broadly utilized in the market due to their sturdy structure. Further, our valued customers can attain them at nominal prices. Packing: packed in wooden crates as international and export standard.